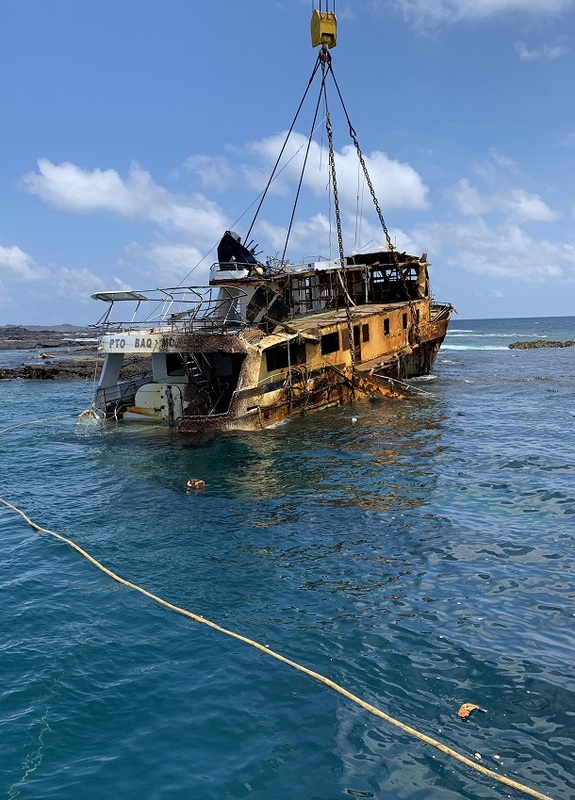 Galapagos Wreck Removal - Global Diving & Salvage, Inc. The MY San Jose was a 33-meter long passenger vessel that provided 16-passenger cruise expeditions in the Galapagos. 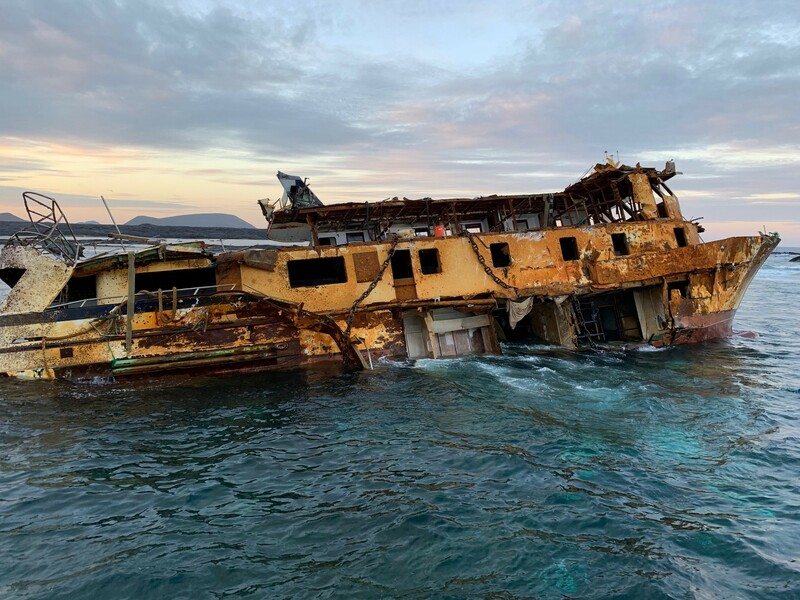 The vessel was on its way to a cruise site in July 2018 when it ran aground on a reef near Bartolome Island. The salvage company originally hired to refloat the vessel failed at their attempt to remove it, causing the vessel to roll over and partially capsize. Global was then contracted to remove the capsized vessel. Global subcontracted Multimpex out of Peru to provide the crane barge and crews to perform the work; Global’s team supervised the work and provided planning and operational support. The original salvage plan was to bring in the crane barge to parbuckle the San Jose, patch and dewater the vessel, then refloat it. The dive team rigged the vessel and successfully parbuckled it, but determined it had sustained too much damage on its side to be refloated. Instead the crews cut the vessel into three sections, rigging and removing the pilot house, bow and stern. After the vessel was removed, the team removed all remaining debris from the sea floor and the beach. Global’s team overcame numerous challenges on this project including language barriers and the logistics of working on a remote island. The barge’s mooring location was not ideal; the position of the wreck on the reef made it difficult to establish a secure mooring alongside the sunken vessel. 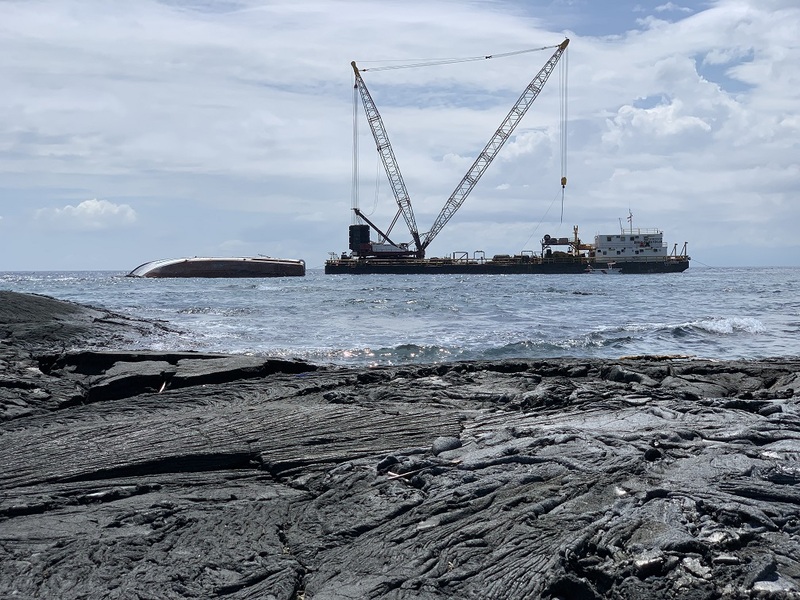 The project was also under heavy scrutiny by officials; because the island chain is highly protected, the team’s salvage plan had to be submitted to the Galapagos National Park authorities for approval. 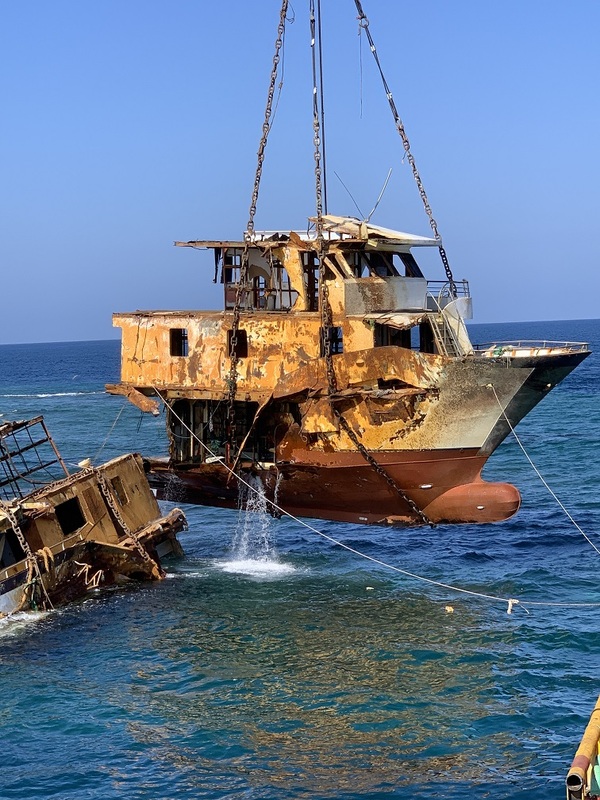 Park officials also reviewed the team’s work during and after the project before signing off that the wreck removal was successfully completed.